As more colleges have embraced online learning to (among other things) expand their enrollments at a time when their traditional pools of potential students are shrinking, conflicts with faculty members  over who controls the curriculum have grown, too. This is especially true as institutions have increasingly turned to outside companies, known as online program management providers , to help them deliver academic programs online, engaging in the same sort of outsourcing on the academic side  that they have long adopted in realms such as bookstores, dining and administrative technology. All of this is new enough (meaning a decade or so) that there have been relatively few attempts to define what are appropriate and inappropriate roles for outside companies in delivering online education -- where the fault lines are, essentially, between wise and appropriate use of external resources and dangerous incursion into matters best left to academic professionals. An unfolding situation at Eastern Michigan University is changing that. On Friday, the university released an arbitrator's ruling in a grievance filed by the university's chapter of the American Association of University Professors, which had charged that by striking a December 2016 agreement  with Academic Partnerships, an online program management company, Eastern Michigan had violated its commitment to solicit full faculty input in areas where it is required, related to curriculum development, personnel and instruction. The faculty union last fall aggressively opposed the arrangement in an advertising campaign  and online petition  as well. 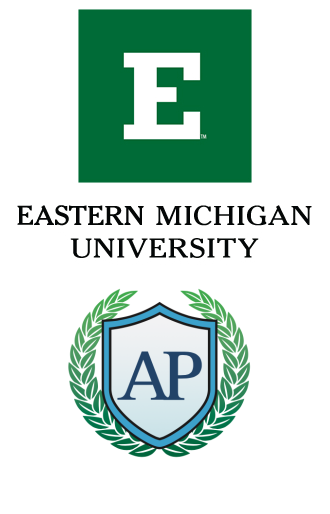 The Eastern Michigan AAUP's challenge to the university's deal with Academic Partnerships was multipronged, but it focused mostly on the possibility that the university, through its arrangement with the Texas-based company, would turn over duties normally done by instructors  (especially coaching of students) to contractors. The union asked for a moratorium on the contract with Academic Partnerships, among other steps. The ruling by the arbitrator , Mark J. Glazer, acknowledges the fundamental tension between the views of the union and the university: "I understand the concern of some association members, with the increase in online offerings and the concomitant involvement of AP. I also understand the university’s concern for attracting students to EMU," Glazer writes. He concludes that as the contract is written, the university has drawn the appropriate lines, limiting the role of Academic Partnerships to areas such as marketing, enrollment and technical support that are "not covered" by the collective bargaining between the union and Eastern Michigan. But he also noted that provisions of the agreement that give Academic Partnerships some responsibility for "academic support services" could, if carried out in certain ways in the months and years ahead, violate the shared governance agreement. The language in that clause states, "Academic Support Services … will work with faculty and the university on online programs’ design, including but not limited to: (1) assistance with program-level planning, course mapping, and course conversion of Online Programs into an electronic format; (2) assisting University in structuring multiple annual start dates; and (3) introducing best practices for the delivery of Online Programs." "Ultimately, if AP remains in the marketing, recruiting and promotion areas, there would not be a contract violation," Glazer writes. "If it ventures into the areas reserved for faculty input, a grievable event could potentially occur." Eastern Michigan officials said in a news release  that they were gratified by the ruling. “We couldn’t be happier that the arbitrator affirms the important role that faculty have in designing and implementing curriculum, but that the AP agreement was in no way a violation of the collective bargaining agreement,” said Rhonda Longworth, provost and executive vice president for academic and student affairs. Union officials expressed disappointment but said they believed the arbitrator had drawn an important line.